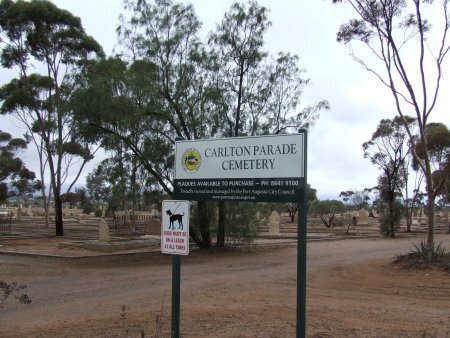 The new Port Augusta Cemetery is located on Carlton Parade and approximately opened 1883, and burials are still currently being undertaken in this cemetery, however, some of the older sections are unable to be used for re-open's due to the instability of some grave sites. 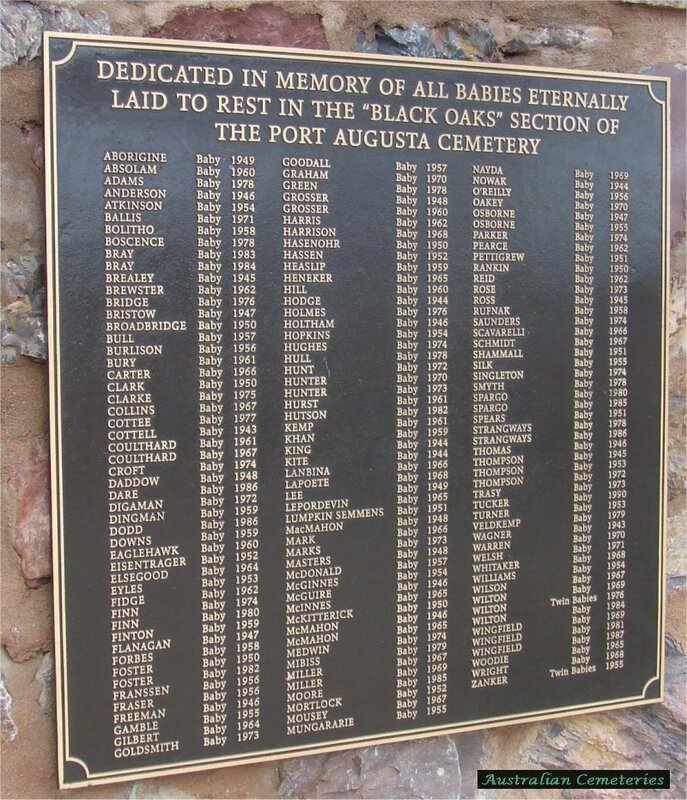 There is a Leased Section, Pioneer Section, Roman Catholic Section, Black Oaks Section which is a burial place for Still Born Babies (Black Oaks Section was called this as the section was located near 'Black Oak' trees), and Un-Leased (General) Section. 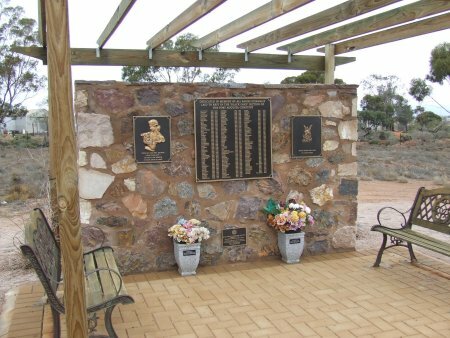 Families of deceased are responsible for caring and maintaining their relative's burial plot.